It’s a deadly duo of debuts! The third series of our #1 selling Alien action figures brings all new characters spanning the first three Alien films to the collection! 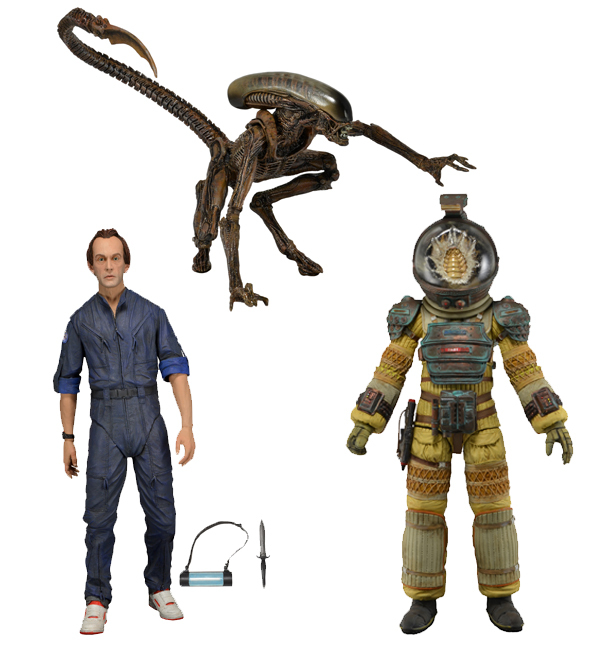 Kane in Nostromo Spacesuit is from 1979′s Alien, and comes in special 35th Anniversary packaging. The android Bishop comes from James Cameron’s 1986 Aliens, and features the likeness of actor Lance Henriksen. The long-awaited Dog Alien is from 1992′s Alien 3. 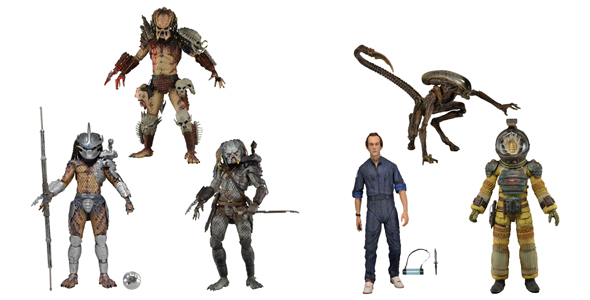 The 12th series in our most successful and longest running figure collection introduces our first ever Predators from a comic book, along with a new and improved Elder Predator from Predator 2. Bad Blood and Enforcer Predator make their action figure debuts and are based on Dark Horse’s Bad Blood comic book series by Evan Dorkin and Derek Thompson. First seen way back in Series 3, Elder V2 features additional articulation, a shoulder cannon, new straps and belts, and new feet, all upgraded and improved from the original version. Figures stand approximately 8″ tall, feature over 25 points of articulation and come with character-specific accessories. This is just the first day of Toy Fair — we’ve got a lot more to come!